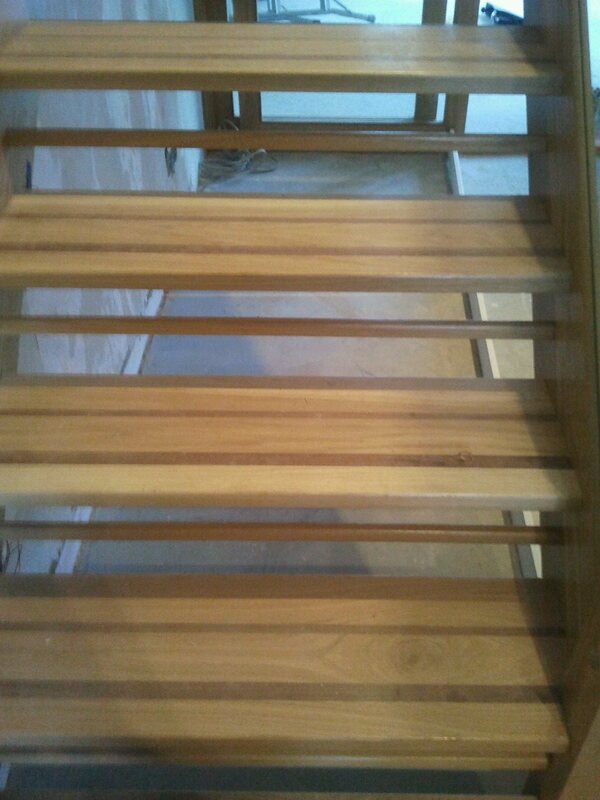 Staircase newel posts can be, for some, to chunky and not in keeping with the house design. 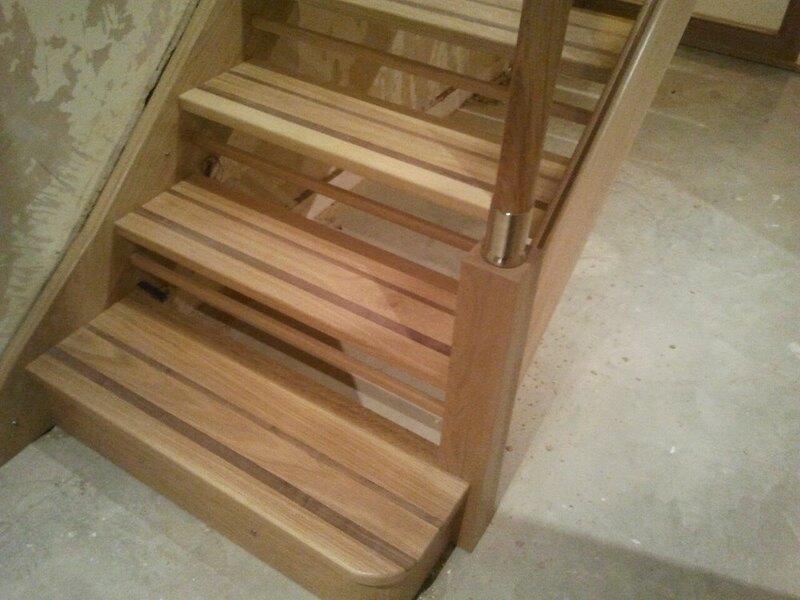 This open rise staircase was constructed from solid oak with a walnut inlay through the treads and chrome attachments to hold the handrail on too the rounded newel post. Within the wall string under each tread is a blue LED light to illuminate and emphasis the grain on the treads. 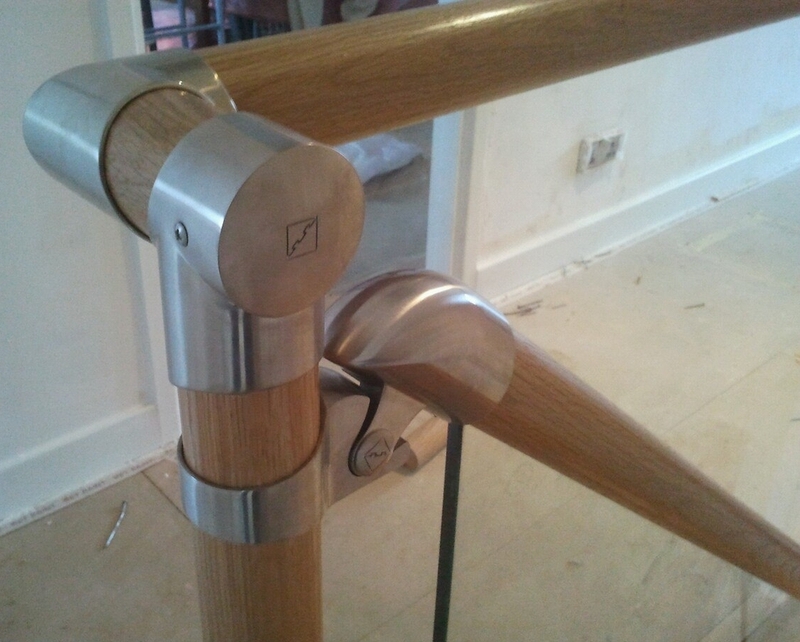 To keep with the open feel of the stairs, a glass balustrade was applied up the stairs and across the landing.